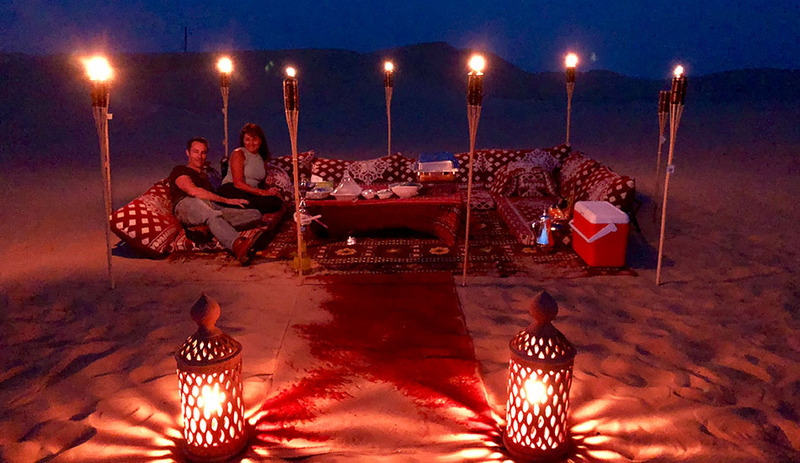 A romantic evening in the desert is one of the best ways to celebrate a milestone in your life or just spark the romance. 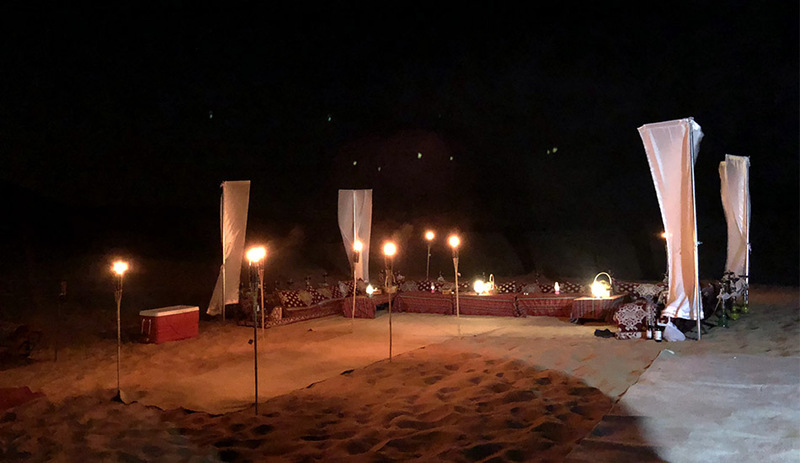 Opt for a private dune dinner in the Abu Dhabi desert and start the evening on a luxurious note. 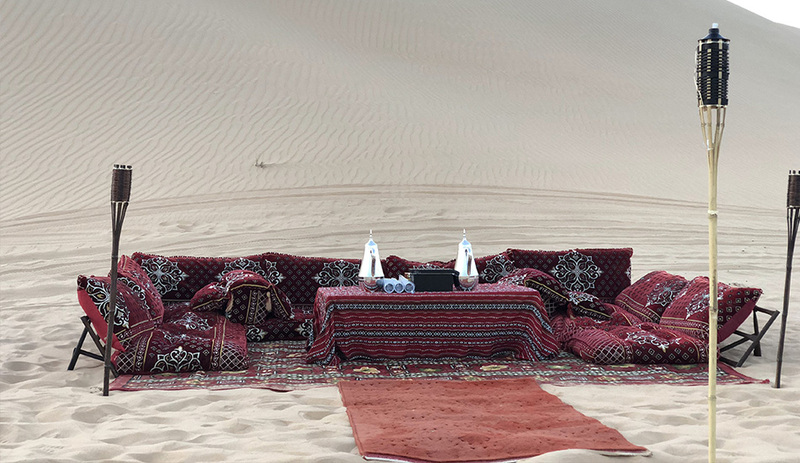 Your Guide will pick you up	from your hotel lobby or any other specified location and drive you to your private set up on the summit of a dune. Cozy up with	your darling on the plush floor cushions and chat away as you gaze into the horizon. Enjoy the company of each other until it’s	time for sunset. 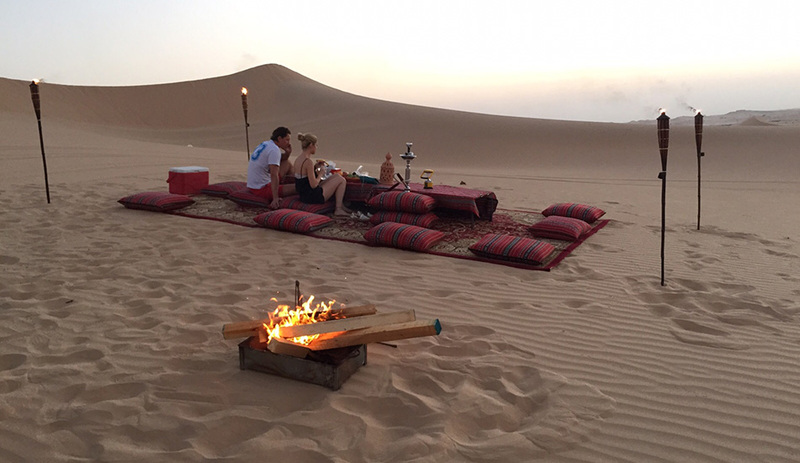 Fill your mind with the memories of a romantic desert sunset and toast to your love with the refreshments provided. Continue the exciting evening with a delicious BBQ dinner that is freshly prepared by your guide. Once you have had your fill,	gaze up at the stars decorating the unpolluted night sky. 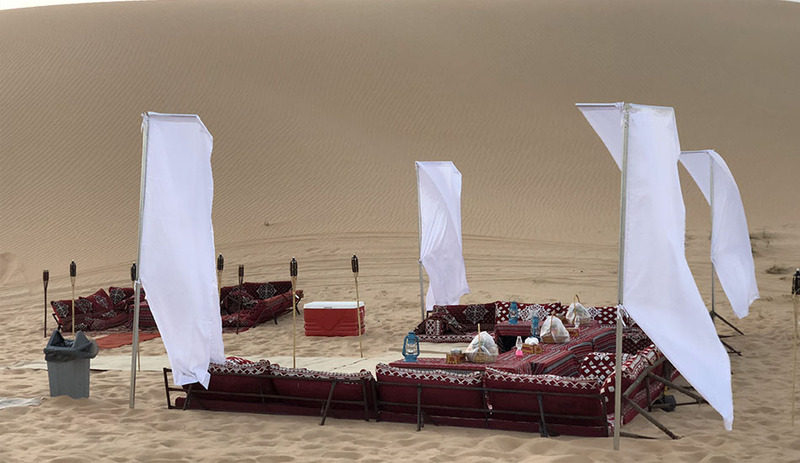 Recall the wonderful memories of your private dune dinner in the	Abu Dhabi desert all the way back to your hotel.